This MASSIVE 2 piece Titanium Space Case grinder can shred anything you put in its diamond shaped teeth and lots of it too! 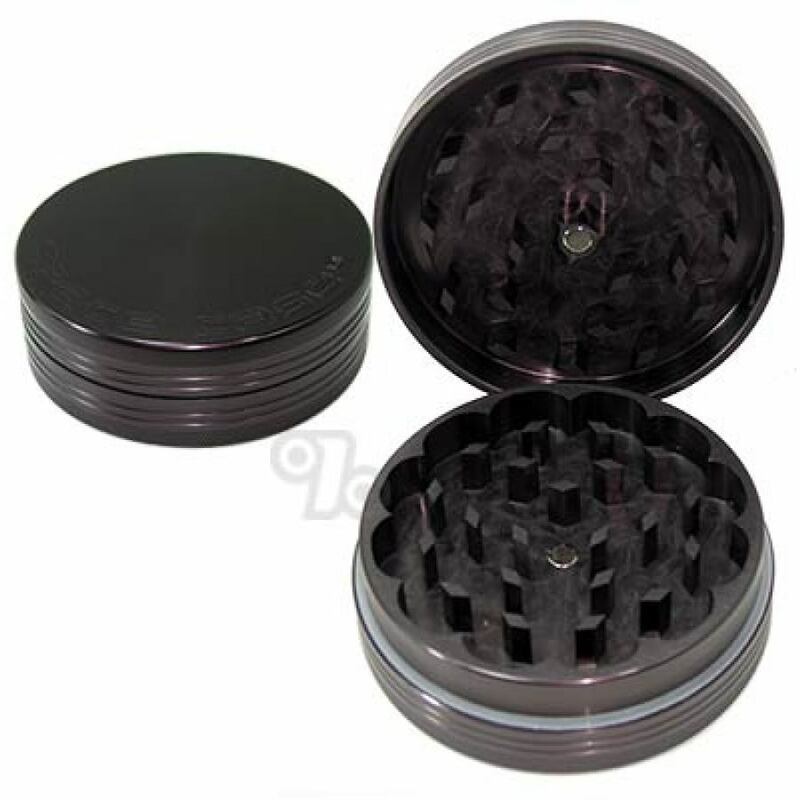 A neodymium magnet securely holds this herb grinder together when traveling. Approximate external diameter is 3 1/2 inches with an approximate height of 1 1/4 inches. Genuine SpaceCase Grinders are made in the USA from the finest materials, finished to perfection and guaranteed for life! True Space Case will cost a little more but it's so worth it. Be careful of cheap knock-offs. I have gone through a lot of grinders. Most of them had faulty or weak teeth this one is my favorite it is super strong and just grinds with little effort. Simply The Best Grinder Period! I bought the medium size and loved it so much that I gave it away to my girlfriend. I decided to try the large size. This may be too big for most girls, but it is perfect for me. Handles an extra large amount of product. Titanium teeth are razor sharp. Get one of these. You won't regret it. Grinder rocks!!!!!! Never have I used a grinder that sits great in the hand, that grinds to whatever size you want. From course to ultra fine. Great grinder. Size is awesome. Everything that we expected. Don't get me wrong, this is an awesome authentic space case grinder. Be warned that this one is much bigger than it looks. I wish I bought the smaller one but I still love it. husband likes the big one but wife prefers to use the old small one.